Best Lenses for Sony A6000 mirrorless camera. 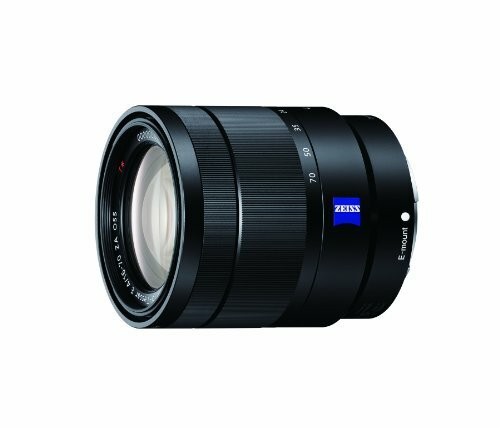 Looking for recommended lenses for your Sony A6000? Here are the top rated Sony A6000 lenses. The Sony A6000 is the best mirrorless camera as it allows you to get beautiful images and videos with its AMS-C sensor. It arrived on the market with an efficient built-in electronic viewfinder (EVF), and it can even go toe-to-toe in some areas with the brand’s own Sony A7R Ii. This particular mirrorless camera can work in just about any lighting situation, and it also delivers with its fast auto-focusing system. For comparison’s sake, the real reason why many photographers (casual and professional alike) would opt for the A7R II is they need the camera’s ISOs to go beyond 25,600 or to have more than 42 megapixels. If you’re a casual photographer or videographer, then the A6000 is already an excellent camera in its right. Plus, it has a price tag that’s about 1/6th of the heft of what the A7R II carries. If you want to own a Sony A6000 mirrorless camera, then you need to have the best lenses for it. There are some different lenses available on the market to suit your different needs for picture-taking. We drill down some of the best lenses for Sony A6000 mirrorless camera here to help give you an idea of what you should purchase. For the casual photographer, one Sony A6000 lens is enough for just about any situation. These lenses for sony a6000 camera help you with your portrait, landscape, flash, and other types of snap shooting. It allows you, as the photographer, shoot whatever it is that you find fancy without having to switch out one lens with another constantly. The following lenses for the Sony A6000 mirrorless camera have the capability to zoom in-and-out of your subjects, change apertures (for different depths of field), and take pictures and videos in general. These Sony a6000 lenses might even be a must-have for Sony A6000 owners who are also traveling bloggers or who just like to take pictures of their trips because they don’t need to pack any other type of lens. 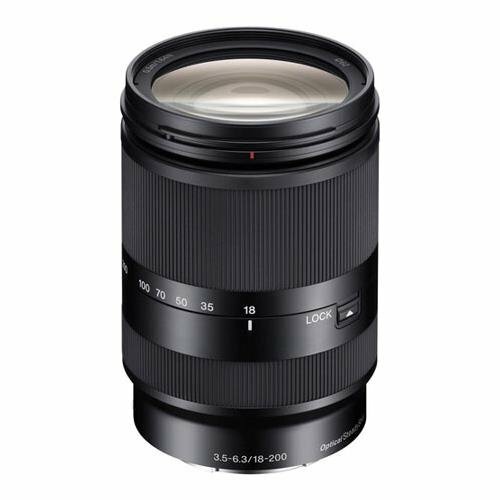 The Sony 18-200mm F/3.5-6.3 OSS Sony A6000 lens presents itself with a high-magnification zoom feature. It also offers optical image stabilization to help you with taking images handheld. This Sony A6000 lens has focal lengths starting from 18mm and can zoom all the way up to 200mm. As such, you can get your wide-angle landscape shots and your close-up portrait images. However, since the Sony A6000 is an APS-C camera, you’re not going to get the “full view” of the entire image. What does this mean? It means that if for example, you’re going to shoot with an 18mm lens focal length for a wide-angle shot, then you’re shooting with its APS-C equivalent, which is about 27mm. Nonetheless, this is a very capable zoom lens for beginners, veterans, and professionals alike. 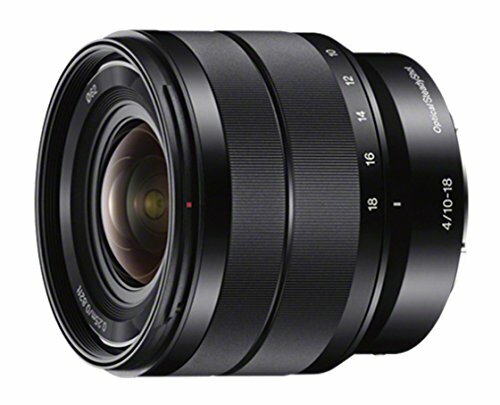 The Sony 16-50mm f/2.8 A Mount Lens has a f/2.8 maximum aperture. It means that you’re going to get a shallow depth of field for your shots. So if you’re into landscape photography wherein you want to focus more on the foreground, and the background starts to blur as it gets further, then this might be the Sony A-mount lens of your choice. However, do take note that the Sony A6000 is fit for Sony a6000 E-mount lenses. As such, you will still need an adapter for you to use this lens properly. Once you have an appropriate adapter, you can take advantage of quickly shifting from wide-angle to telephoto images in a snap. Prime lenses for the Sony A6000 mirrorless camera do not have zoom capabilities. In other words, if you want to zoom into your subject, as photographers, you need to use your legs to take excellent photos. The benefit of using a prime lens for your camera is that they will usually have higher apertures. Therefore, they will usually have a faster focusing speed, and you can enjoy shallower depths of field in your shots. For portrait photographers that are looking to make use of “Bokeh,” or background blur, then Sony a6000 prime lenses are the way to go. The following lenses for sony a6000 can help you enhance your portrait picture-taking to the next level. 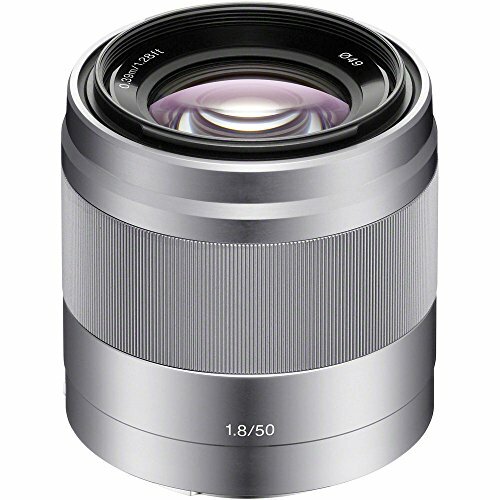 The Sony FE 55m f/1.8 ZA lens is made by the renowned lens manufacturer, Carl Zeiss. With that note, you can expect excellent images to pop out of your Sony A6000 camera. It combines optical design with its ability to bring superb contrast and inky blacks to your pictures. 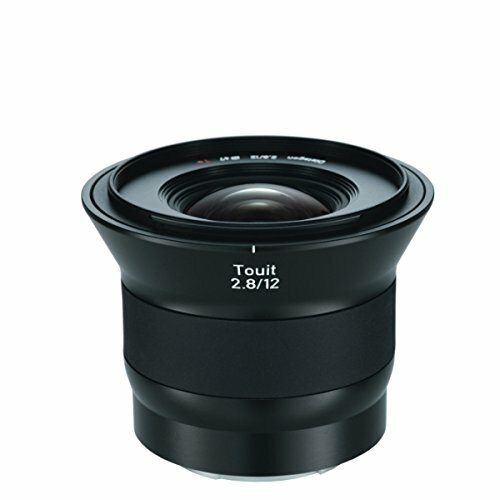 It is an excellent prime lens for portrait photographers, but you can also use it for other types of photography. This Sony A6000 lens has a f/1.8 aperture, which means that you can shoot in relatively low light situations. Shooting inside dimly lit clubs will now pose minimal problems. Its linear motor is silent, so videographers can also make use of this Sony A6000 lens. Using the Sony 50mm f/1.8 lens on a Sony A6000 means, you’re going to shoot at its crop frame equivalent, which is a focal length of about 75mm. It means that even though you’re going to shoot farther from your subject, you’re going to enjoy a creamy background blur. As such, it can be an excellent lens for portrait photographers. 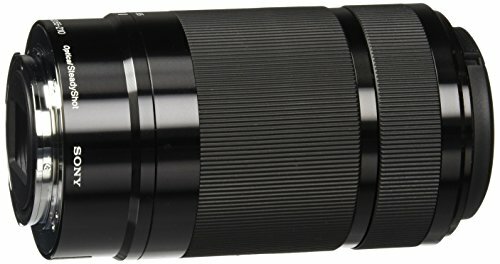 This is a mid-range telephoto lens which can be the “go to” lens for photographers who don’t want to spend too much hard-earned cash on their camera’s glass while not skimping out on the cheap stuff, which would otherwise impede quality. This particular lens also has image stabilization built into it, so you can shoot with the camera in your hand without worrying too much about accidental shakes. While the Sony A6000 is compatible with the brand’s E lenses, other fine lens makers on the market can also offer excellent lenses for this particular mirrorless camera. 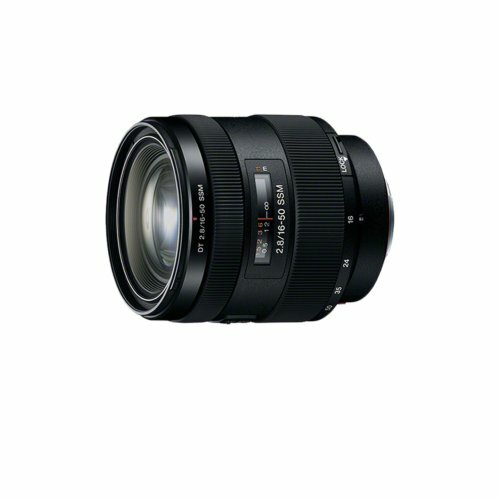 Take Sigma as a prime example, especially with the 60mm f/2.8 DN E. It is a prime lens that has a focal length equivalent to 90mm when using it with a crop sensor camera. This Sony A6000 lens contains Special Low Dispersion (SLD) glass elements, as well as aspherical elements in the glass, which helps to minimize chromatic aberrations. In other words, it can bring about sharp, high-resolution photos. Your subjects can turn out sharp while the background can be a creamy blur with its high-enough aperture and its telephoto capabilities. If you don’t like to zoom with your feet, then you can zoom with a capable Sony A6000 lens. 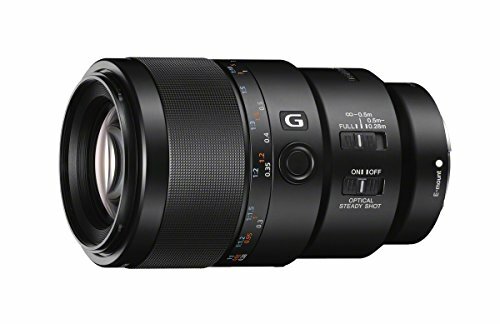 Listed below are the best E-Mount zoom lens for the Sony camera that we found. You can use an E-mount zoom lens for the Sony A6000 mirrorless camera system for different types of picture-taking, such as portrait, street, wildlife, and even macro. Zoom lenses are an excellent way to get close to your subject without having to put the camera right smack-dab in front of their faces. It is also a great way to take a shot of wildlife without exposing yourself to them as they might run away at the sight of you. 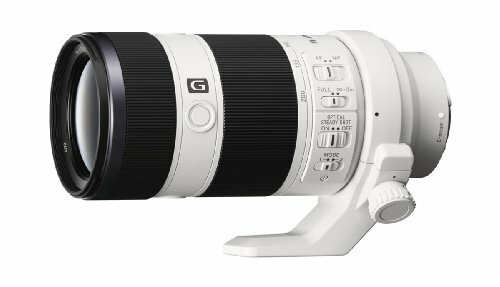 The Sony FE 70-200mm f/4 G OSS lens is special due to its circular blades for aperture control, as compared to the standard polygonal-shaped blades. Therefore, the “bokeh” effect can be further enhanced by giving you creamier background blurs. It is also made with extra-low dispersion (ED) glass to lessen the effects of chromatic aberration to a significant degree. This particular zoom lens also has a focus hold button right on its shaft, and the placement is easier to manage as compared to having a focus hold button right on the camera (which can be cumbersome to press). 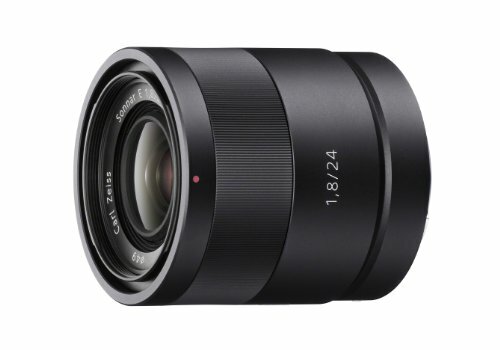 The Sony Vario-Tessar T* E 16-70mm f/4 ZA OSS lens is a Sony E-mount lens found in the midrange market. It provides the Sony A6000 with a 35mm equivalent to its focal lengths. Its constant f/4 aperture means you can get creamy background blurs when taking advantage of its longest zoom, even while you’re shooting in relatively low light conditions. 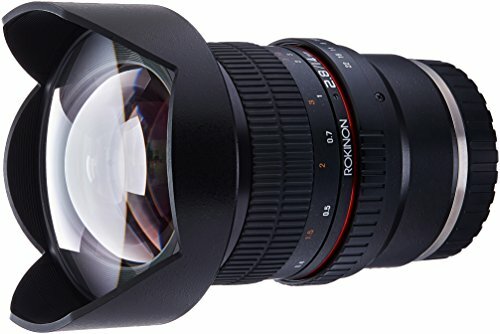 However, even don’t expect to go shooting at a dimly lit club with low ISOs with this lens as the images might still come out as really dark. Aside from that notion, the Sony a6000 lens also has an Optical SteadyShot image stabilization feature to help you acquire sharp images even when holding the camera with your hands. For many photographers, the Sony 55-210mm f/4.5-6.3 is their go-to Sony A6000 lens. To start, it can provide a focal length of up to 315mm (when making use of the APS-C sensor of the A6000). As such, this zoom lens can be ideal for taking sports or nature photos. It also has a silent internal focusing feature, so that you can shoot videos without the added hindrance of a noisy lens motor. This particular lens also has an Optical SteadyShotTM Image Stabilization feature to help you achieve crisper images and stable videos, even when taking advantage of zooming all the way to your subjects. 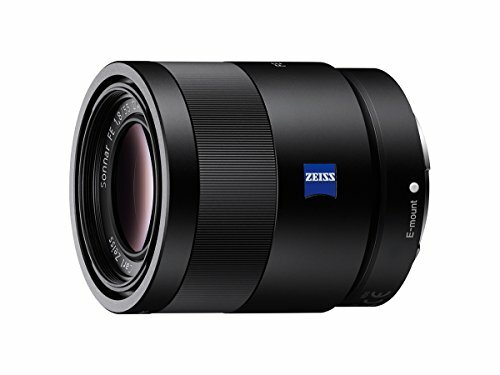 If you’re looking for the sony e mount lenses for the Sony A6000, then your search has ended. We have gathered the best wide-angle lenses for Sony A6000 mirrorless camera system so that you can enhance your landscape photography skills even further. The following lenses are not just ideal for landscape photography, but with some imagination, you can even make use of them for portraits or even for taking wildlife photos. Still, landscape photographers do benefit from wide-angle lenses to get a lot of the scenery into the shot. With these lenses, you can get that (and more) when shooting with your A6000. The Zeiss Touit 12mm f/2.8 lens presents itself as a Sony A6000 lens with a unique appearance, but it doesn’t mean that this wide-angle lens is not capable of bringing you excellent images. After all, it’s not one of the best lenses for the Sony A6000 for nothing. To start, it has an aspherical design which helps bring consistent performance throughout the entire range of focus. In other words, it can contribute to bringing out optimal sharpness from one corner of the image to the other. It also can lead to the excellent contrast in your images, so your landscape photos will have a lot of “pop” in them. If you want to go ultra-wide, then you need an ultra-wide-angle lens. One of the best lenses for the Sony A6000 and other mirrorless cameras, especially if you’re into landscape photography, is the Sony 10-18mm f/4 OSS Lens. With its 10 to 18mm focal length, you can get more from the scenery and put it into your image. You can also bring about sharper images with its OSS or Optical SteadyShot technology. This particular Sony A6000 lens also has internal focusing, which means that the overall length of the lens does not change to get even more out of the shot. When attaching a filter on this Sony a6000 lens, the filter thread does not rotate, which can be a boon for photographers using a polarizing filter. 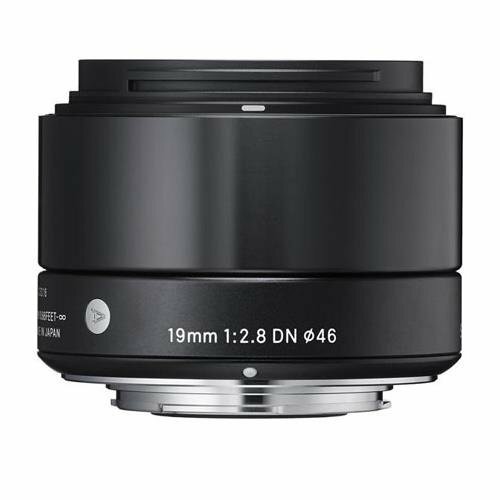 The Sigma 19mm f/2.8 DN Lens is a type of “pancake” lens, and it is called as such because of its very thin dimensions. However, do not underestimate this Sony A6000 lens because it has three glass mold aspherical lenses rolled into one package. With such a feature, it can deliver excellent correction for distortion, field curvature, and color aberration. It also has a super multi-layer coating feature that can help reduce ghosting and flares in each shot. Therefore, you won’t worry too much about shooting landscapes with low shutter speeds because the sun’s rays won’t be affecting much of your photograph. 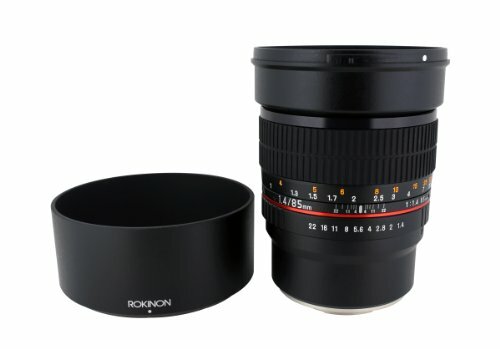 The Rokinon 14mm f/2.8 ED AS IF UMC Lens has a red ring, but this is by no means a Canon L Lens. This is considered to be one of the best lenses for the Sony A6000 because of multiple reasons. To start, it is made with extra-low dispersion, as well as aspherical and hybrid aspherical elements. All of these features mean it can help ensure minimal chromatic aberrations and distortions. The glass on this wide-angle lens is made with UMC coating which helps to reduce lens flare and ghosting. It can even support in the decrease of light transmissions. The Sony Zeiss 24mm f/1.8 employs the famous “Sonnar” optical design, which means that if you use this as one of your primary lenses for the Sony A6000 mirrorless camera, then people will immediately notice what lens you’re using, even when you’re looking at it from afar. Aside from its design, it also provides a short focusing distance of 16cm to help you get more out of your landscape images. It even has Direct Manual Focus (DMF) that assists you if you want to adjust the shot even further right after the camera finishes auto-focusing. The lens also focuses fast and silent, which can play a big role when capturing videos. Telephoto lenses are excellent pieces of glass for your A6000, especially if you’re into shooting portraits. It can deliver creamy background blur while letting your main subject remain as sharp as possible. With the best telephoto lenses for the Sony A6000 mirrorless camera, you have the ability to change the perspective of your photos while garnering desirable results. The best lenses for the Sony A6000 that are within the telephoto category have a large aperture, which means you can effectively shoot in low light conditions. The following lenses can help you deliver the best photos you can obtain from your mirrorless cameras. 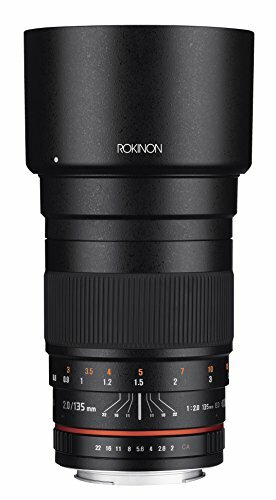 The Rokinon 135mm f/2.0 ED UMC Lens has a pretty short focusing distance for a telephoto lens. It can focus as short as 2.6 ft, and it has a fast and large aperture of f/2.0 (which can go all the way to f/22). Images come out sharp while the background elements have a creamy blur. Balls of light look like actual spherical objects when taking photos of the lens’ largest aperture setting. However, when you’re shooting at wide open, this Sony A6000 lens can give you dark vignetting around the corners. This might appeal some photographers, but not everyone likes vignettes in their images. It can easily be corrected in post-processing, however. With a large aperture of f/1.4, the Rokinon 85mm f/1.4 AS IF UMC Lens lets you shoot portraits that contain shallow depths of field. Hence, your subjects can be as sharp as possible while the background behind them achieves a beautiful “bokeh” effect. The minimum focusing distance for this Sony A6000 lens is 3.3 ft, and it has a filter size of 72mm. Remember that this is a prime lens, which means that you have to move closer to your subject if you want to zoom into them properly. The entire lens is both compact and lightweight, so it doesn’t weigh your hand down, unlike other larger Sony a6000 lenses. If portrait, landscape, or street photography are not to your liking, then perhaps you’re more of a macro photographer with your Sony A6000. With macro photography, you like to get into the tiniest of details for each object. For instance, when you’re shooting flowers, you should be able to see all the small details jutting out of the plant’s center. Macro photographers have an excellent eye for detail, and, as such, you should have excellent photos to back it up. With the best lenses for the Sony A6000 that are built for macro photographers, you can get more information on your main subject as compared to shooting with, say a wide-angle lens. The Sony FE 90mm f/2.8 Macro G OSS Lens has a f/2.8 maximum aperture, which means that you can get a lot of details from your main subject while everything else has a nice blur effect. This particular lens has moisture and dust resistant design, so you can shoot outdoors without having to worry too much about getting your lens dirty. This Sony A6000 lens presents corner-to-corner sharpness for your images, and it also has the Optical SteadyShot image stabilization feature. One of the most difficult challenges of macro photographers is accidental camera shake. However, with this lens, the chances of achieving such a dilemma is minimized significantly. 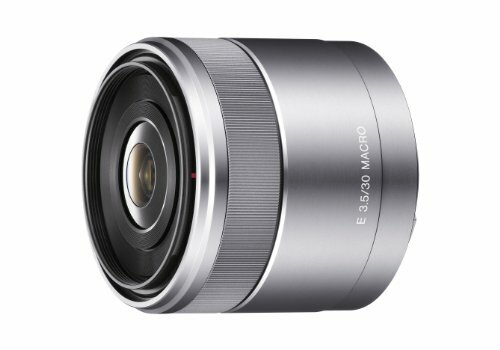 The Sony 30mm f/3.5 Macro Lens is a prime lens that specializes itself for macro photographers. 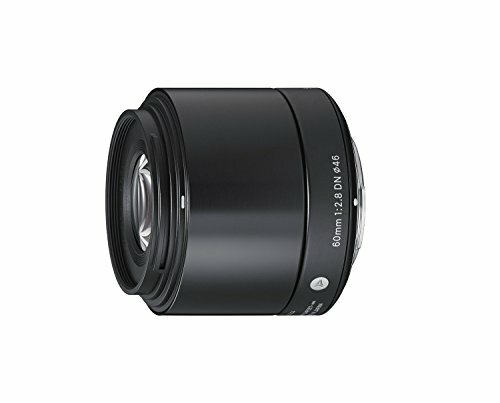 It is a tiny mirrorless lens for the Sony E-mount. As such, it is exceptionally compact and portable. You can focus on your subjects with a minimum focusing distance of only 9.75 cm. Aside from taking excellent photos of small objects, this particular lens can also be used for other types of picture-taking. It is even touted to be an ideal “second lens” as it can be used for taking quick snapshots of the family at the beach, or perhaps taking beautiful pictures of the park at night. With so many Sony a6000 lenses to choose from for your Sony A6000 mirrorless camera, it can be confusing to pick the right one. Hopefully, this guide will give you a safer idea on what you should purchase, no matter what type of photographer you may be. Once you have the lens of your choice, all that’s left is to shoot some photos with it.